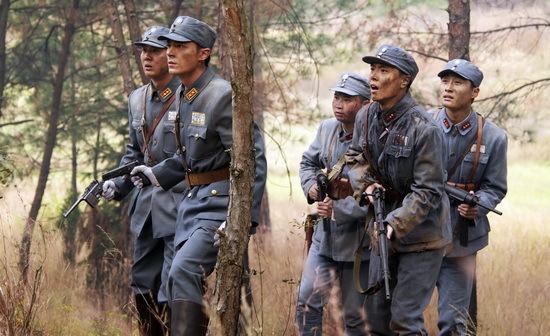 Heartbreak is the main character of this WWII drama, not Wallace Huo. During the Second Sino-Japanese War, the 1938 Changsha Fire altered the lives of an entire city and country. 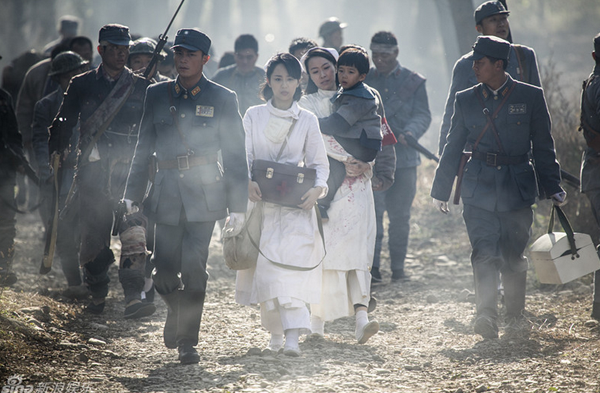 Before that fateful event, the lively and independent Hu Xiang Xiang is arranged by her brother-in-law to be married to the cold and serious Gu Qing Ming, an Intelligence Officer in the Nationalist Army stationed at Changsha. Only through this marriage can she and her family safely leave Changsha before the Japanese invasion. The two, however, immediately clash upon meeting for the first time, and an engagement seems highly unlikely. But all that is rendered insignificant when the Changsha Fire rages through the city, and Qing Ming, Xiang Xiang, and the entire Hu family must bravely confront the wartime damages on and off the battlefields. Hu Xiang Xiang: When are you coming back? Gu Qing Ming: When we’ve won. 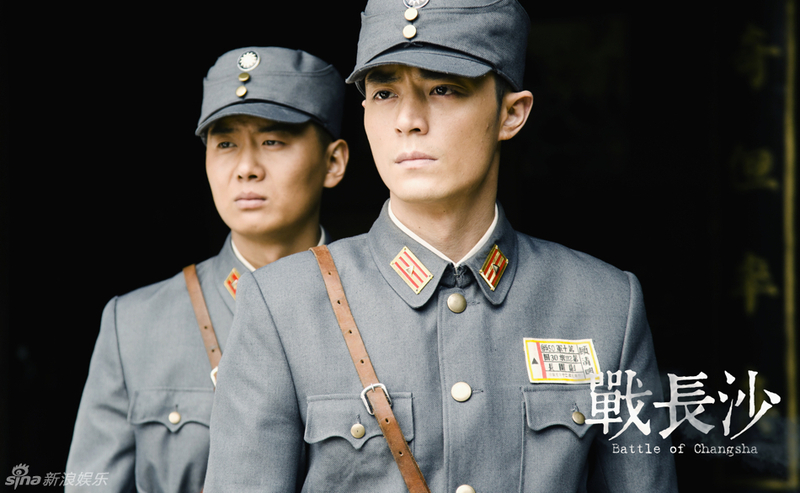 Like I said in my first impression of Battle of Changsha, I was interested in this drama mainly because of the WWII setting and Wallace Huo. I love this time period for dramas, and well, Wallace is just so darn good looking. So, imagine my surprise when neither of those things factored that much into my love for this drama. I was confident that I knew what Changsha was going to be all about, namely an emotional love story set in the WWII era, but I was proven wrong. Battle of Changsha is one of the most emotional dramas I have ever watched, and most of the heartbreak doesn’t even have to do with the romance in it. Although Hu Xiang Xiang (Yang Zi) and Gu Qing Ming (Huo)’s romance played a large role in the drama, it was actually the Hu Family who provided the heart and soul for Changsha. Even the war itself was reduced to being a mere background and plot device for what went on with the Hu Family during this turbulent time. Despite the obvious attention paid to Xiang Xiang and Qing Ming’s relationship, it all seemed somewhat unnecessary, especially when compared to all that was happening behind closed doors in the Hu household. It sounds ridiculous to even myself, but I enjoyed watching the Hu Family’s drama more than the Xiang Xiang & Qing Ming romance. Now, that’s not to say that they weren’t lovely together…but there was just more interesting stuff going on around them. Besides being pleasantly surprised that Changsha was more of a family drama than the typical wartime romance, I also wasn’t expecting there to be so few battle scenes. I thought for sure a drama that’s set during WWII and even named after a battle would be chock full of intense, drawn-out battle scenes. But nope, there was only about a handful of those, and the actual fighting parts don’t even last that long. Honestly, I had no problem with that because while I like the WWII setting, the whole gore and violence that goes with it ain’t really my thing. So, thanks Changsha for sparing me from having to wince and look away every few minutes! While there wasn’t an overload of these battle scenes, the special effects for them were still excellent and very realistic. The drama can be separated into two distinct sections because the events that take place in the first half are relatively more lighthearted than the gut-wrenching heartbreak and overwhelming emotions of the last dozen or so episodes. Consider the first half to be the calm before the storm because those final episodes will make you feel like your heart got swept up in a whirling tornado. Your tear ducts will be working overtime because so much happens in such a short amount of time. The unrelenting heartbreaks that occur in these episodes make it impossible to even breathe in between all the sobbing you will be doing. It’s been more than two weeks since I’ve finished watching, and I’m still not totally over the sadness! Still, it’s this aspect of Changsha that makes it such a worthwhile drama to watch. No one ever said war was easy. The acting from everyone in this drama was on point, with the MVP being Ren Cheng Wei in his portrayal of the overbearing brother-in-law, Xue Jun Shan. 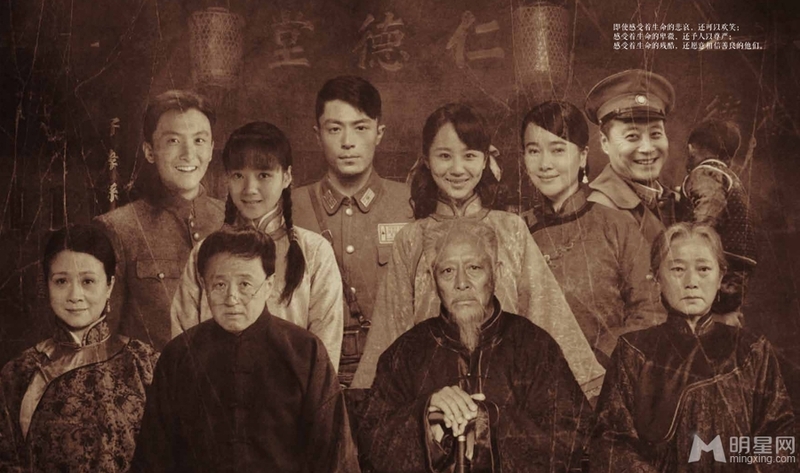 Coming in close second would be Yang Zi in her role as Xiang Xiang. It’s not really a coincidence that these two excellent acting performances were for the two most interesting characters. And while everyone else was great in their roles, none of them had the same amount of character depth or nuances to them as these two. In perhaps the biggest shock of this drama, Wallace Huo’s Gu Qing Ming just never seemed very important. 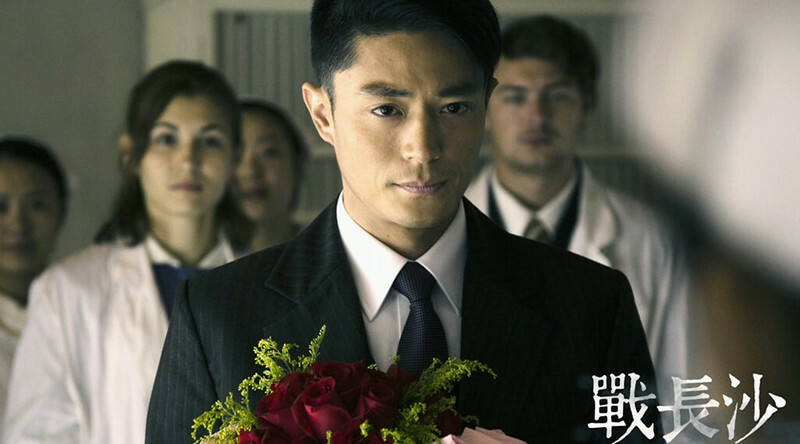 A Wallace Huo drama that doesn’t really need Wallace Huo…what’s happening here?! Huo’s acting was great, but his character was just a little too perfect that it made him kind of boring to watch. Of course, he was still very handsome in his uniform. But that’s a given. I already had high expectations for Changsha, so for it to exceed them is a testament to how great of a drama this is. Even if you don’t dig the WWII setting, there’s so much human drama in this that it almost makes the war elements seem like an afterthought. Sure, the drama in Changsha probably wouldn’t exist if there was no war, but the WWII “character” never overpowers everything else that is happening. I honestly don’t have any real criticisms for this drama besides some very minor things that I can easily overlook. Seriously, everything from the directing to the musical score was beautiful. While I really enjoyed Battle of Changsha and would recommend it for everyone to watch, I’m not getting ready to rewatch it anytime soon. This isn’t a drama that you can just watch for fun because it really requires one’s full attention. Also, my heart hasn’t quite healed from this drama breaking it over and over again in the shortest span of time ever. With that said, I will gladly watch it again someday because a drama as beautiful as this one deserves multiple viewings. Wallace Huo and Yang Zi sang the theme song for Changsha, “I Will Remember You/Wo Wei Ji De Ni.” Listen to it because it is gorgeous! Wallace Huo recently starred in the c-drama, Perfect Couple, as Jin Yuan Bao. Gao Xin played Lu Er Hao, Vicki Zhao and Ruby Lin’s older brother, in Romance in the Rain/Qing Shen Shen Yu Meng Meng. Zuo Xiao Qing was born and raised in Changsha, Hunan. I watched this drama around last year (I think) and it is one of the most beautiful and sad dramas I’ve seen! I was so impressed by the cinematography, the unashamed portrayal of some very bad ‘scorched earth’ policy making and the crushing ending. I agree with you review – a stunner and Xue Jun – my gosh, just seeing the picture of the family at the end makes me feel it all over again! Thank you for the lovely review. Your writing style is beautiful. Off to start a new marathon for Battle of Changsha.